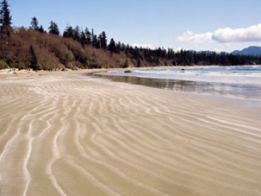 Traveling to Long Beach on the West Coast of Vancouver Island is a leisurely drive from Victoria and well worth it. 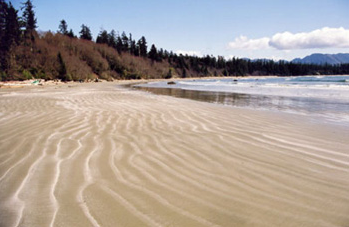 It’s my favourite part of Vancouver Island. When I lived on the prairies, I would think nothing of driving from Edmonton to Victoria in one day; but, over the years, I have evolved into a creature of comfort. 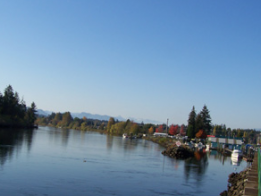 On our latest trip to Long Beach, Linda and I decided to stay overnight in Port Alberni, the gateway to the Pacific Rim, to break up the journey. 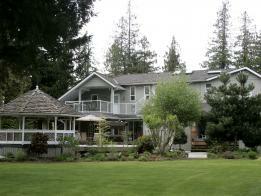 What we discovered was an excellent accommodation right on the route to the Pacific Rim, Hummingbird Bed and Breakfast. Approximately 4 hours after leaving Victoria, we arrive in Port Alberni. Hummingbird Guesthouse and Charters is operated by Wayne and Cheryl Creelman, two amiable transplants from Edmonton. 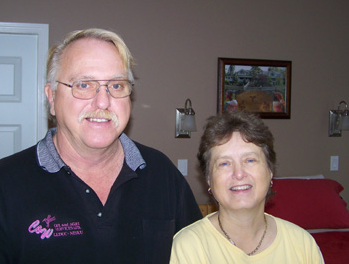 Both ooze prairie hospitality and are a great fit for vacation accommodation hosts. Their home is located on River Road and the 2 acre property includes frontage on the Somass River, which ambles by just across River Road. The guesthouse (B&B) is very spacious. Our room is large and very comfortable. 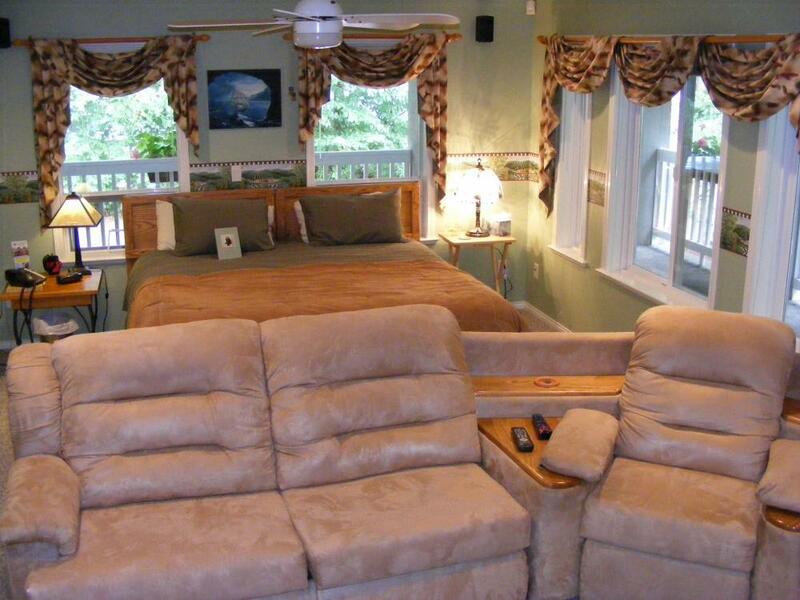 It includes a sauna, fireplace, monster TV, VCR, and a good selection of movies. The Clam Bucket restaurant is highly recommended and is only a few blocks away, so off we go. (We’d tried it for lunch a few months back, but they’d just had a fire and were closed for renovations.) Our dinner is great. The staff is friendly and courteous. Back at the suite, we watch Linda’s Edmonton Eskimos football team get knocked out of the playoffs for the second year in a row. This is unprecedented in Edmonton. To console her, we go out to the games room and she trashes me in 3 games of pool. I cannot believe the shots she’s making! Oh well, my BC Lions are the top of the CFL. Afterwards, we have a soak in the gazebo hot tub. Life is good. Just before we retire for the night, I try the sauna. Great … A good sweat is really healthy. Cheryl and Wayne have done many things to make this a luxury accommodation. 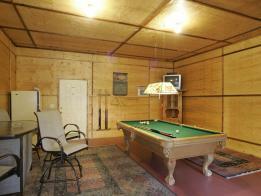 It has four large rooms with much to offer. The grounds are superb, complete with a hammock and picnic tables. It is a great place to relax. Hummingbird is large enough to accommodate families, small business groups, small weddings and of course people who book fishing charters with Wayne. Even though they have excellent accommodations, Cheryl tells me that when people leave, they rave most about Wayne’s great breakfasts! 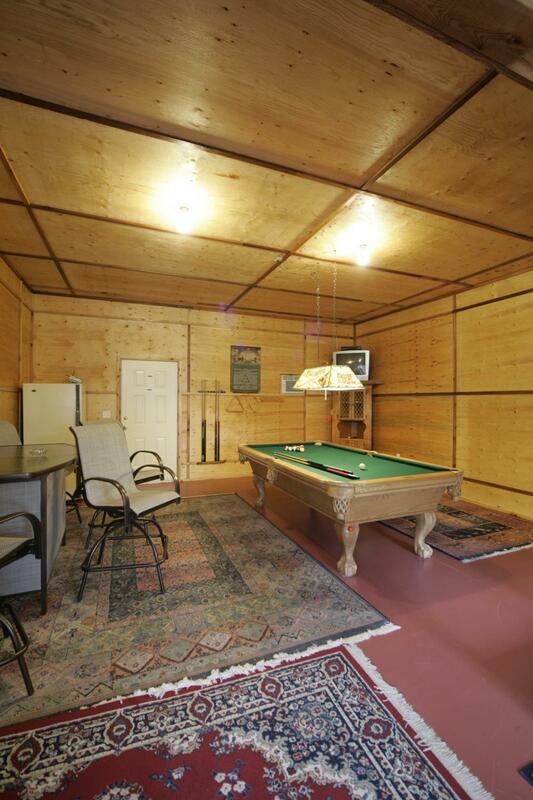 The games room has a pool table, treadmill, TV, dart board, and bathroom. 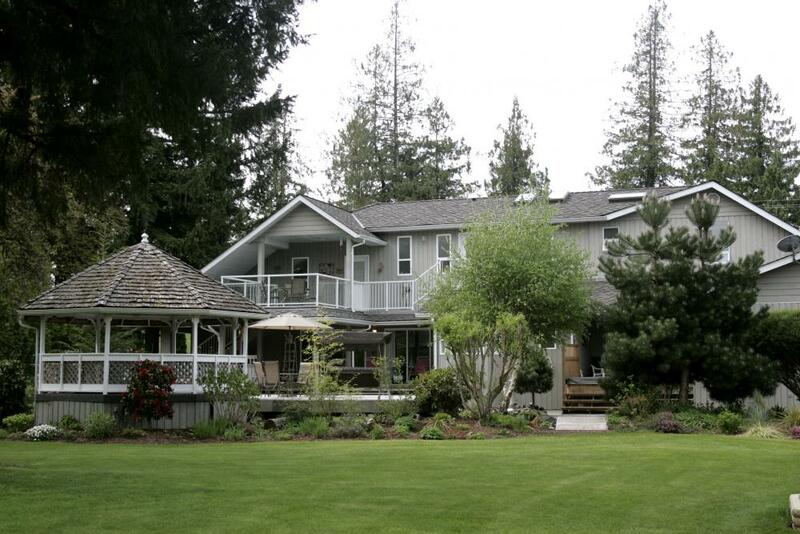 The Hummingbird feels more like a visit to a resort than a B&B. 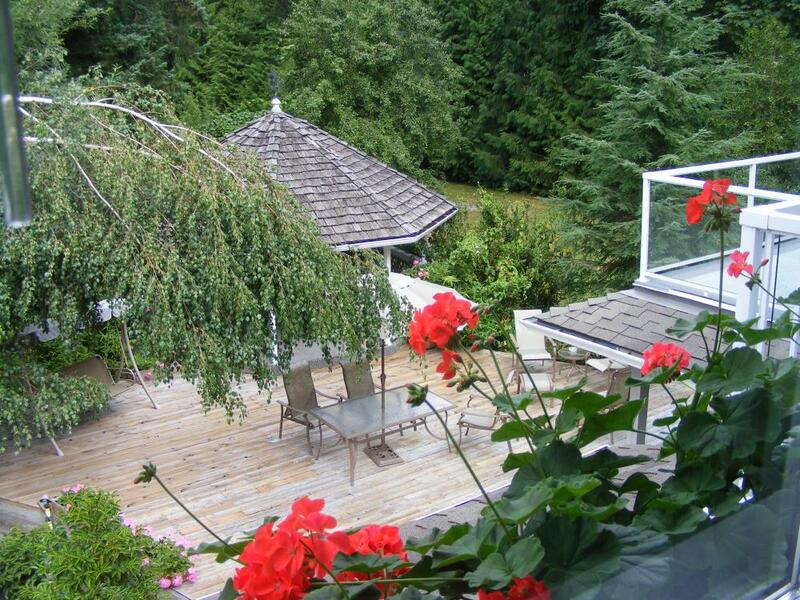 Over the years, I’ve had lots of people ask me where they can stay in Tofino or Ucluelet that is not too expensive. There are places, but during the summer months, almost everything is booked. I would recommend giving Port Alberni a try. It’s less than 90 Km to Long Beach from Port Alberni and about 1.5 hrs of safe driving. The route is incredibly scenic with some very neat sites along the way. 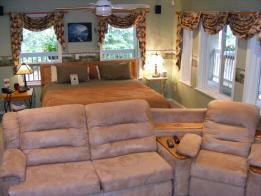 The rates in Port Alberni are very reasonable for what you get, especially at the Hummingbird. 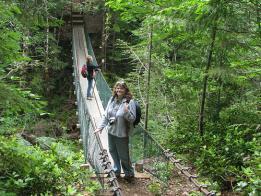 You will also be surprised at what is available for tourism right in the Alberni Valley. There is superb fishing, kayaking, hiking, golf, wildlife viewing, historic and adventure tours, scuba diving, and many festivals and special events. You will be truly surprised. Port Alberni has had a long history as a mill town, but it has grown and there is much more there now. 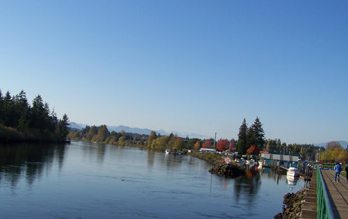 The Alberni Valley is an outdoor recreation paradise.